One of the main questions we receive these days is centered around tricks, tips and strategies for getting salon clients to purchase more retail. It is such an important area for your business, as the upsell of products can radically improve your business’s profits! But the question is: How can you encourage clients to purchase more of the products that you sell? Well, one way to do it is through having an eye-catching, flattering salon retail display. You see, if you present the products in an engaging manner, this will most certainly draw the eye of clients and get them paying attention to the goods. So with that in mind, we have toured the world (wide web) to seek out some of the most beautiful, most clever & most effective salon retail display ideas that we could get our paws on. It’s amazing how much impact a beautiful salon retail display can have on your products. 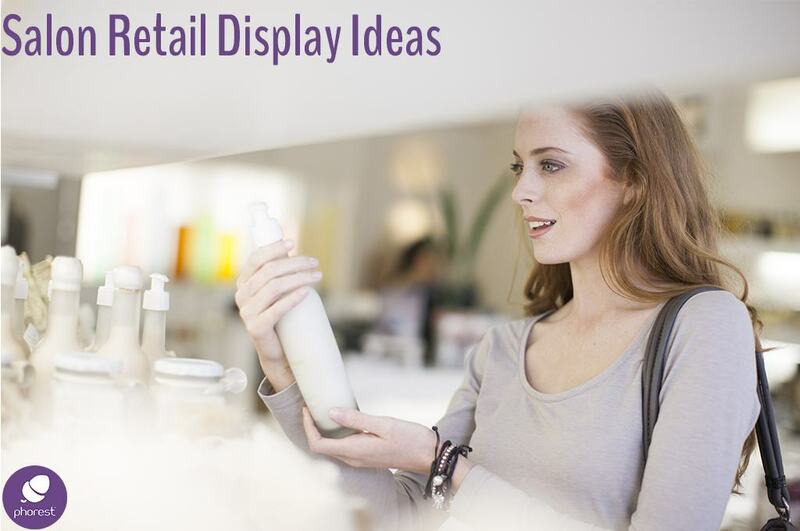 Whether it’s the unique table design or even using picture frames to highlight your very best offers; these salon retail display ideas should help provide you with enough inspiration to look at your own salon or spa and see if there is another way that you can showcase your retail to your clients. Another byproduct of having fetching salon retail displays is that clients will be more inclined to snap photographs of it and share it on social media (promoting your business in the process. But first and foremost, let’s get those clients purchasing more retail! Don’t forget to check out The Very Best Salon Window Display Ideas From Around The World as well.